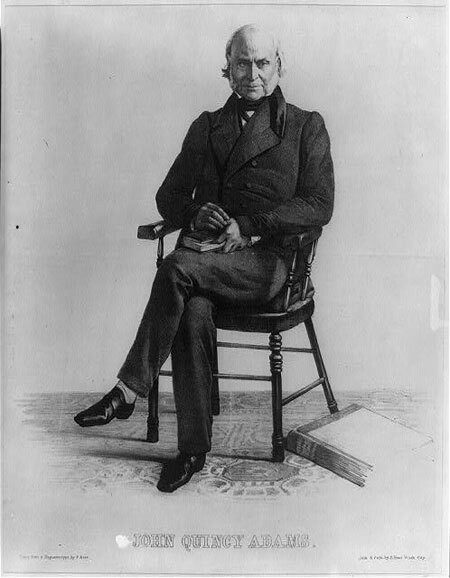 John Quincy Adams was well known for his diplomatic success and most of all for his role as secretary of state under James Monroe. Adams had previously served as an ambassador to several European countries and as a U.S. senator from Massachusetts. He is the only president in history to serve in the U.S. House of Representatives after leaving the presidency. Adams’s fierce sense of independent judgment meant that he never completely fit the mold of any political party, and he was surely the only president to have a pet alligator in the White House!